Exotic animals flash on a large 4K video wall before cross fading to a cityscape with long streaking lights left behind by traffic far below skyscrapers.The images and the videos appear with incredible detail and vibrant colors thanks to the technology powering the video wall -- the same model that would be integrated into your office, hospital or university. And it's right here at AVI LIVE. 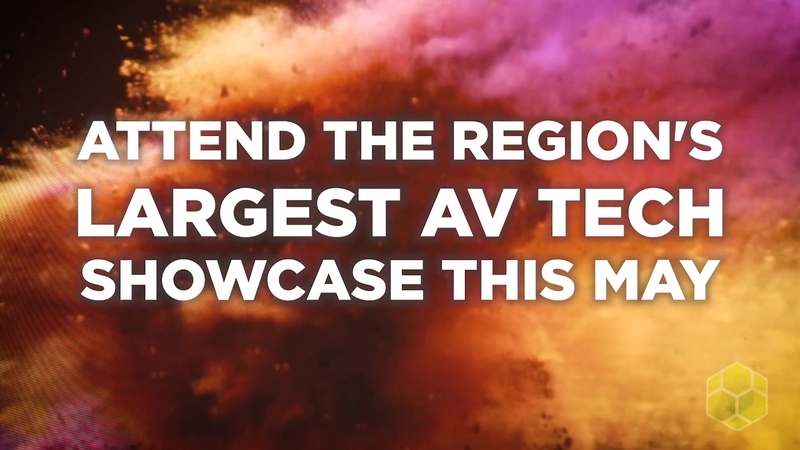 One of the main reasons people come to AVI LIVE is to finally see the technology up close and in person. It's a way to find out more about that video wall or speakers or even a whole conference room setup. More than 50 of the leading technology manufacturers exhibit their latest technology at this show, and they're all more than willing to talk gear, tech specs and the whole gamut of what makes these devices a good fit for your project -- or not. This is the time and place to come talk about technology, see it in action, and learn from the experts. And while there is plenty to see and learn about on the showfloor, there are ways to take a deeper dive into the technology and how it all functions. During the show, there is a schedule of training sessions that appeal to casual technologists as well as AV experts. In past years, sessions have gone over everything from an in-depth look at wireless frequencies to the basics of LED. Industry experts lead these sessions and they're equipped to answer your questions about the technology on the showfloor. Training sessions become even more valuable to the professionals in the room who are looking to further their education with actionable insights that can be applied to their careers. Many of these training sessions count toward CTS continuing education credit, or RUs. Quick note on how that works: At the beginning of a session, you sign in. That sign in is sent to AVIXA and registered to your account so that you're credited properly. If you have questions or just want to double check, meet with the instructor after the course to verify that he/she has what's needed. To go along with the showfloor and expert-led training sessions is a keynote by Gary Kayye, founder of rAVe [PUBS]. During his keynote, Kayye will talk about the new way technology companies should go about designing and developing the systems that power spaces like conference rooms and classrooms. During the past few decades, Gary says that people have adapted to the rooms (and their physical layout), which haven’t changed a whole lot. However, the younger generations, like Gen Y and Z, have grown up collaborating in a totally different way – for example, texting, which is the equivalent of picking up the phone to older generations. “It’s a different kind of person that’s coming through the meeting rooms and classrooms now, so in addition to considering technology and products, we need to consider the people,” Kayye said. Kayye is an award-winning speaker and one of the most prominent personalities in the audiovisual industry. He's been recognized as Educator and Instructor of the Year by both InfoComm (now AVIXA) and the National Systems Contractor Association. Kayye is likely best known for his work as a columnist and writer for rAVe [PUBS], one of the leading industry publications, along with his work seen in WIRED and Sound and Communications. His expertise in writing, marketing and public relations has led to working with some of the biggest manufacturers in technology, including Sony, Sharp, Epson, and many others. His keynote, the training sessions, and everything on the showfloor are meant to help you learn about technology and from the experts. 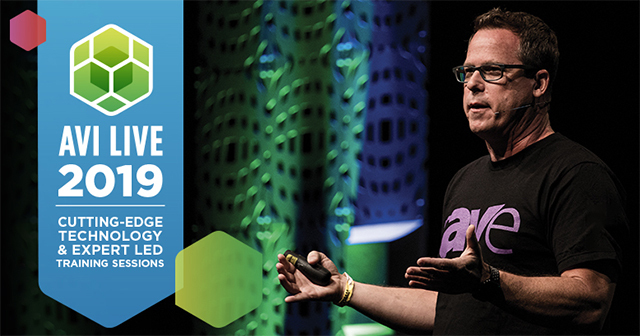 This May, come to AVI LIVE in either Minneapolis, MN, or Milwaukee, WI, to experience a year's worth of technology and expert insight in a single day.